Free event, and open to the public! 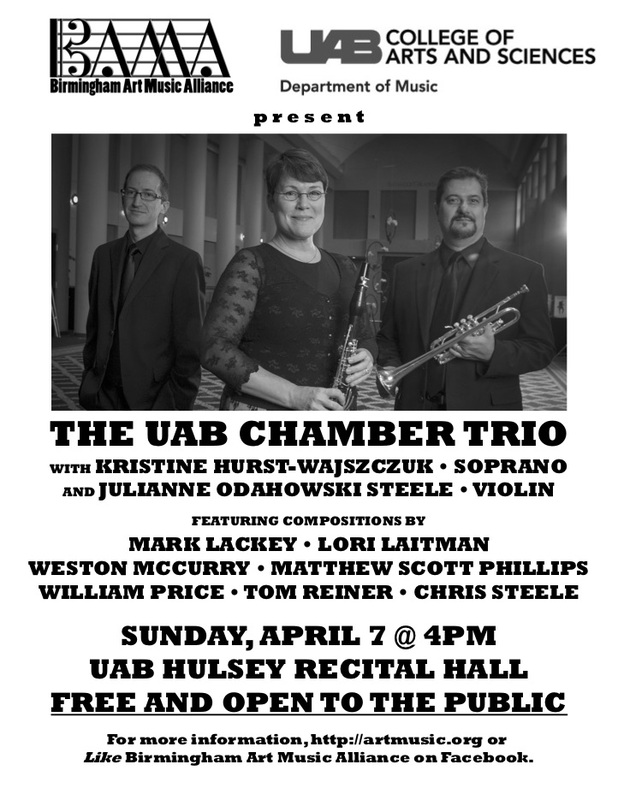 The Birmingham Art Music Alliance is pleased to present the UAB Chamber Trio with special guests Kristine Hurst-Wajszczuk, soprano and Julianne Odahowski Steele, violin. Mark Lackey, Lori Laitman, Weston McCurry, Matthew Scott Phillips, William Price, Tom Reiner, and Chris Steele.